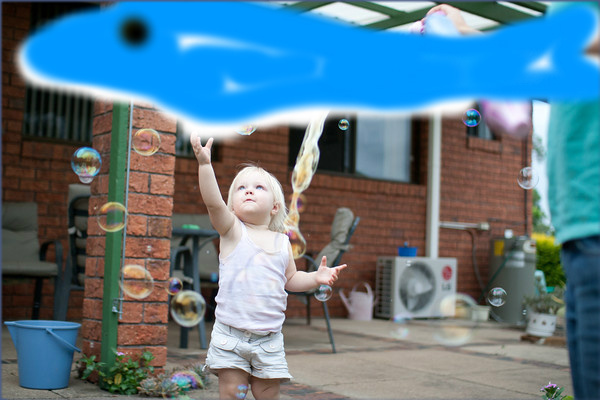 We headed out to Laidley for the night, and blew some bubbles for Evelyn to chase around. I had planned to shoot some star trails from the lookout on the ridge. It was the first cloudy night for two weeks. Will try again next time we head out there. Crop right down, mainly to get rid of distracting elements. I wish I had the skills to clone out a lot of things in this photo. I tried, but failed - needs more ability. I was still able to make a photo in the end, so it's not all bad.